PIT = Partition Information Table = Configuration file for each partition in the Samsung Galaxy J1 Ace SM-J110F, You only need it if you ever mess up the direction of the partitions. 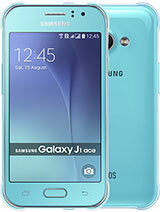 If Samsung Galaxy J1 Ace SM-J110F say Secure Download is Enabled on Odin Mode/ Download Mode, usually Odin3 flashtool always Faild, for the solution is try installing firmware consisting of 4 Files “AP / PDA + BL + CP + CSC and PIT, if failed too, try changing MMC IC your Samsung Galaxy J1 Ace SM-J110F. All your actions is your own risk, Boycracked.com is not responsible for anything. Please download the firmware that matches your region or carrier, and make sure that your device is the Samsung Galaxy J1 Ace with the Model number SM-J110F.Be a smart android user. Leave your comment if you found broken link or have any question. Credits: (Image) Gsmarena, (Files) AndroidFileHost, Updato, Samsung-Updates.